Recruiting isn’t an easy career. To be a successful recruiter, you need to know the ins and outs of the company you’re hiring for, as well as how to identify the skills and attributes of the candidates you’re interviewing. Not only that, but you need to know how to juggle hiring multiple roles at the same time and constantly keep in touch with various stakeholders, including C-level executives, hiring managers, team members, and candidates––all of whom can be hard to get in touch with. Recruiting isn’t a job for everyone. There are certain skills that a recruiter should have to succeed in their job. Let’s take a look at what those skills are and what recruiters can do to improve them. Interpersonal skills are one of the most important things for any successful recruiter. Because proper recruiting depends on building relationships with candidates, recruiters need to know how to make connections. Recruiters should be approachable, responsible, and caring. They should also be great listeners and have great communication skills. Having excellent interpersonal skills can make you more likable and trustworthy as a recruiter, making candidates want to come work for your company. Interpersonal skills are complex, so it takes practice to properly develop them. However, you can start by cultivating a positive outlook. When you’re upbeat and optimistic, people will gravitate towards you. Focus on maintaining your relationships and always look for the positive in your coworkers and the candidates you’re working with. Recruiters should not only look for soft skills in their candidates but also focus on developing their own. Teams can only go so long with an open position. Because of this, recruiters often have tight deadlines that they need to work within to get positions filled. It’s important to have superb time management skills to ensure you’re giving the hiring process enough time. That will lead to finding the right candidate. It’s also important to have strong time management skills to keep interviews properly scheduled and running on time. Recruiters spend a lot of their time in meetings or on the phone, so punctuality is key. There are dozens of time management tools on the market, such as Toggl, to help recruiters monitor how much time they’re spending on certain tasks. Recruiters should also keep a solid calendar of all their appointments and meetings. Scheduling time for tasks can help recruiters ensure everything gets done on time. When hiring for an open position, it’s common to need to manage different candidates at different stages of the interviewing process. You may even need to hire for multiple open positions at once––increasing the number of resumes, interviews, and candidates you need to manage exponentially. Without proper organization skills, high-quality candidates can get lost in a pile of resumes and overlooked. You may forget to follow up with a candidate who could be a perfect fit or otherwise miss out on the opportunity to hire a great team member. The right tools make it easier to stay organized. 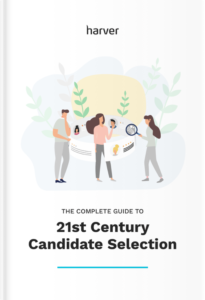 An Applicant Tracking System can help manage multiple candidates and the phases they’re in of the hiring process, helping you ensure each individual gets the attention and information they need to have a positive candidate experience. Sometimes a gut feeling can lead to a great hire. However, recruiters can’t––and shouldn’t––rely on their gut every time. They need to be able to think critically about the requirements of the open position and make a hiring decision free of bias or preconceived notions. Recruiters should have strong critical thinking skills that allow them to analyze the situation, gather information on each candidate, and make a logical decision about who is the right hire. Great recruiters should also be able to use the information given to them during the hiring process to predict how each candidate will fit into open roles and positions. It’s important to always try to learn new things to keep critical thinking skills sharp. Educating yourself about different hiring biases and playing games to keep your mind sharp are great ways to improve critical thinking. Innovation skills including critical thinking, active learning and complex problem-solving are the skills of the future. As a recruiter, you need to be able to listen to team members, candidates, and other stakeholders to see what each is looking for in a new hire. Active listening is also important for creating a strong interview process. When you’re actively listening to candidates, you’re able to ask deeper questions and get to know them better. By adjusting your interview questions based on the conversations you’re having with each individual, you can learn more information and make a better hire. Any time you’re taking with an individual, whether it’s a team member or a potential hire, take notes on what they’re saying. Don’t worry about how you’re going to respond until they’re finished talking, then ask a new question that uses the information they’ve just given you. Recruiters are often the middlemen between candidates and hiring managers or other team members. This means it’s your job to relay information between the two parties and ensure that each individual knows everything they need. If you don’t have outstanding communication skills, this can make the process extremely complicated. Communication skills are more than just being friendly and personable. You also need to be able to deliver positive and negative feedback and answer a wide variety of questions. What’s more, you need to know how to properly communicate through various channels, including email, social media, over the phone, text messages, and even in IM chats. Improving communication skills often comes with practice, but you can also improve your messages by taking a look at how others are writing emails or leaving voicemails. Take a look at what details they include, how they structure their messaging or the tone they’re using in the content they’re creating. Communication skills are essential for recruiters at the beginning of their career as well as for managerial-level employees. As we’ve already mentioned, recruiters often need to connect with dozens of potential hires at once. When each candidate is in a different stage of the recruitment process, this means you need to manage many different working parts at the same time. However, there is also a lot of multitasking that goes into the day-to-day activities of a recruiter. For example, during an interview, a recruiter must know how to listen and take notes at the same time while asking relevant questions. That’s why multitasking is a crucial recruiter skill. While improving your multitasking skills, take things slow. Don’t try and get ahead of yourself. As you start practicing multitasking, you’ll become more comfortable with the process and eventually can move faster. Recruiting is often a team effort. Whether you’re the only recruiter hiring for the position or not, you need to work with other departments, hiring managers, and individuals to make a hire that works for everyone. It’s important to be able to work as a team as a recruiter. This also means accepting when you may not be right. If other stakeholders believe that a particular hire is right for the position, you may need to step back and accept their choice––even if you don’t fully agree. While you can voice your opinion, it’s important to remember that you’re not the only one in charge. Working as a team involves listening and cooperation. Remember to look for the benefit of the overall team, not just yourself. Pay attention to the needs of those around you and do whatever you can to create a positive experience for as many people as possible. When you’re competing with other recruiters, companies, and job openings, you need to find a way to stand out. It’s important for recruiters to be creative in how they source, outreach, and interview candidates. Creativity makes for a memorable recruitment experience. Getting creative in how you interview and connect with candidates can also give you new insights to help make a smarter hiring decision. Using games, quizzes, or other fun assessments can help you get to know candidates better and keep them engaged in the hiring process. As a recruiter, it’s important to have fun with your job. While you want to be serious and ensure you’re taking the appropriate steps to hire the right candidate for your open position, it’s also good to let loose once in a while and try something new. Creativity is often associated with art. However, it entails much more than that – coming up with solutions, creative problem-solving, for instance – and is a highly important recruiter skill. The recruiter is often the first introduction to a company and the culture. If you’re timid or unsure of yourself, this could reflect badly on the entire company. However, if you’re confident and knowledgeable, you can make a strong impression on behalf of your entire time. Portraying confidence during the entire hiring process is important. You just need to be careful you don’t cross over into cockiness. Instead, answer questions you know answers to with authority and be open if you’re unable to answer something. Let them know you’ll ask the appropriate people for them and get back to them. Confidence can feel fake at first, and that’s okay. Remember, you’re the expert in this situation and go into each hiring process knowing that you’re capable of making a great hire for your team. Recruiters need to sell a job to a candidate. When it comes down to giving an offer, a strong recruiter needs to know what to say, do, or show to prove to a candidate that the position is right for them. They also need to sell the candidate they’ve chosen to the hiring manager. You need to have strong sales skills to excel at your job as a recruiter. This means you need to know what is important to your various stakeholders, as well as how to focus on the benefits of each individual or your open job. To refine your sales skills, you can do classic sales training methods or courses. Use your listening skills to discover what each individual is looking for and showcase those features or benefits first. However, when you make a strong match between a candidate and your open position, the selling part can be easy. Selling the role and negotiation are parts of recruiting least likely to become impacted by AI. Developing sales skills will make you a future-proof recruiter. Being a great recruiter comes down to understanding what your team needs in a new hire and being able to find those qualities and characteristics in the individuals you’re interviewing. While it can take some time and practice to become a great recruiter, having these 11 recruitment skills can make the process easier. Whether you’re new to the recruiting world or you’re just looking to refine your work, practice improving these 11 skills. Find which areas you may be lacking in and implement tools, strategies, or plans to get stronger. Consistently improving your recruiter skills can make you a champion in your role.